​Bali Elephant Ride and Ubud Tour is a Bali Combination Tour Packages to Visit places of interest in Ubud Bali and combined with Elephant Ride Adventure, the most popular adventures in Bali. 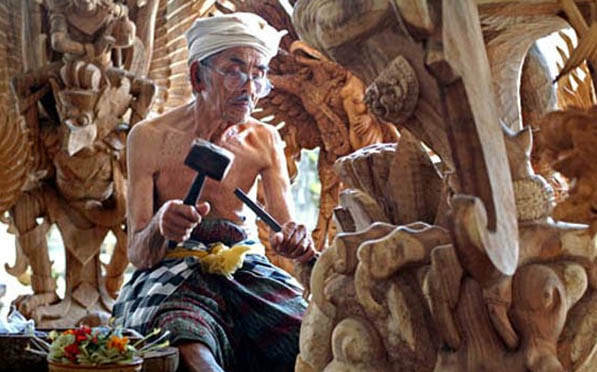 It is an exciting tour package to see tourist destination in Ubud Bali like Ubud Monkey Forest is small forest in the center of ubud village, Ubud Royal Palace is kingdom palace of Ubud King, Goa Gajah Temple is elephant cave temple situated not so far from Ubud village and Ubud Mas Village is traditional village located in Ubud which have a beautiful wood caving art. On your Bali Elephant Ride and Ubud Tour journey you will enjoy the fantastic experience of 30 minutes ride on Sumatra's Elephant in the Elephant Parks. Your Bali Elephant Ride and Ubud Tour will completely enjoyable and comfortable with our professional Bali Tours Driver that is always outstanding offer our best service during Bali Elephant Ride and Ubud Tour along with our private full air-conditioning car transfer. Bellow is short description of places of interest will be visited during Bali Elephant Ride and Ubud Tour. Ubud Royal Palaces the residential house of Ubud king which is more known by the name of Puri Saren. In this palace, the Ubud king is leaving with his family and makes this palace as governance center in the empire era. The houses are very beautiful with the strong Balinese ornaments and decorations that make Ubud Royal Palace an ideal place to visit. Ubud Royal Palace is center of activities of government of Ubud Village. We only can visit from outside Gate of Ubud Royal Palace due his king legacy still live there and we not allowed to disturb king family privacy. Ubud Monkey Forest is very easy to find this place since it is located in the hearth of Ubud Village and it is just about 1 hour drive from Denpasar Town. 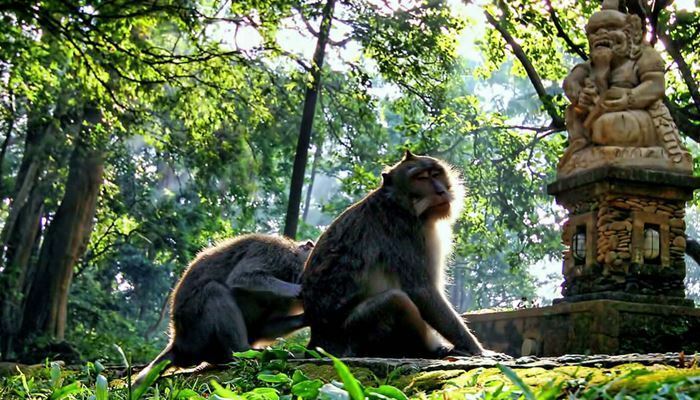 This Ubud monkey forest is close to other places of interest in Ubud like Ubud Palace, Ubud Art Market, Tegalalang Rice Terrace, Painting Museum and Goa Gajah. Ubud Monkey Forest is a small rain forest dwelt by some group of monkeys. Enjoy this small forest in the heart of Ubud Village with amazing animal (monkey) in the forest with his funny attitude and always make laugh.